The Appeal Inspector has refused our second Appeal. Interestingly, the result has hit the front page of the Royal Town Planners Institute’s Planning Digest, which infers that this decision is of significance. The article starts, “An inspector has refused a revised proposal to convert a Berkshire barn into a curling rink after ruling that it would be unacceptable countryside development, despite acknowledging that England’s only other curling rink is also a rural converted barn”. Our first Planning Application Appeal was turned down for two reasons. Firstly, the Inspector felt that the extension was not Minor, despite the Council agreeing that it was, and that the existing roller shutter vehicle entrance, which can already be used 24/7 by noisy tractors etc, would be too noisy for the neighbouring property, despite our Appeal Documentation clearly stating that, as a curling rink, the shutter would be used very little as we need to control the air humidity and temperature with the curling hall. It would have been used only for maintenance purposes, most likely, just when we replace the LED light fittings, which have a 15 year life expectancy! As a result, we had the choice of going to the High Court or submitting a new Planning Application that addresses the reasons for being turned down at Appeal. We have now submitted a new planning application, that addresses these two reasons for refusal. We have reduced the size of the extension by about 40% so that it contains just the facilities that the Appeal Inspector said were, in her opinion, essential. This includes Toilets, changing rooms and showering facilities, a viewing area, an office and storage & plant rooms. We will also be taking away the vehicle access to the building and using a condensing dehumidifier so that there are no vents or openings adjacent to Hayley Green Farm. The professional officers within the Council have once again recommended our application for approval - in in planning terms, our proposals are acceptable, however, the local Councillors have once again decided to disagree with their professional experts, so we have had to go to Appeal. If you would like to be kept up-to-date, why not follow us on Twitter or email us your email address (see below). 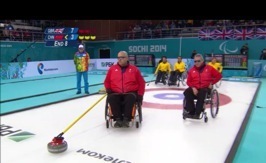 The Berkshire Curling Centre will be on the edge of Bracknell (in the Windsor direction) in the village of Hayley Green, just over a mile from Bracknell Town Centre. The existing building has already been refurbished with thickly insulated roof and walls and will take about four to five months to complete once the planning consent is given. The facility hopes to be the second dedicated curling rink in England and will offer beginner and improver courses, regular club and social curling, local, national and international competitions as well as come and try, school and corporate sessions. 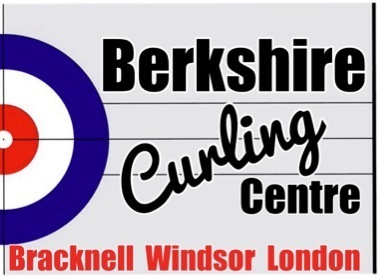 The Berkshire Curling Centre will run their Promotion Programme - a competitive pathway to Nationals and beyond - and all participants will be encouraged to enjoy the benefits of improving their skills in the friendly, social atmosphere of the Berkshire Curling Centre.